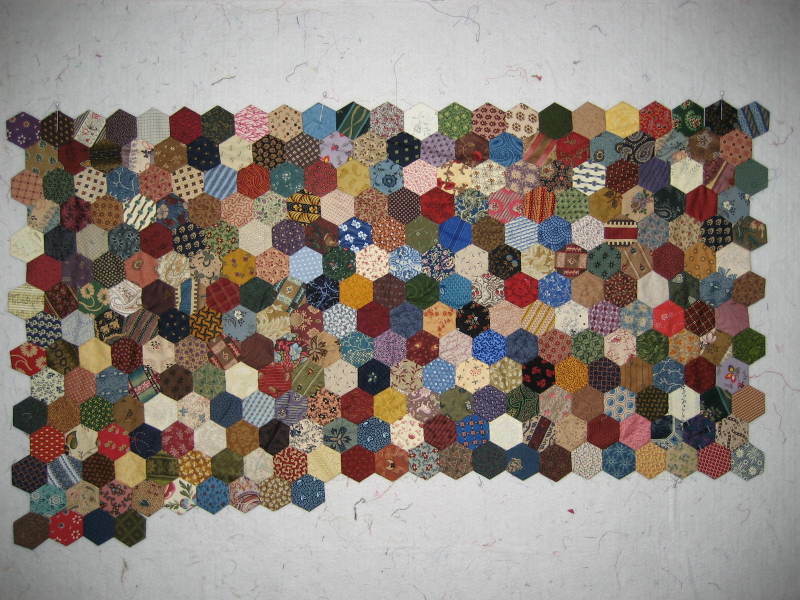 Now that I have all of the random applique blocks finished up, I need to start working again on my Hexagon Quilt. I have been working on this quilt off and on for about a year now. It is one that I hope I will finish sometime in my lifetime. It is hand pieced. 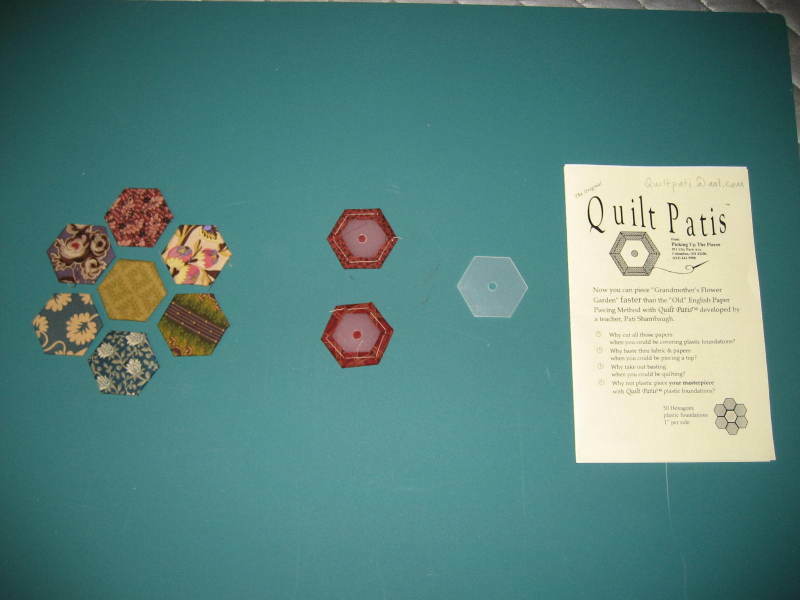 I am making my hexagons with Quilt Patis made by Pati Shambaugh. You can contact Pati here. 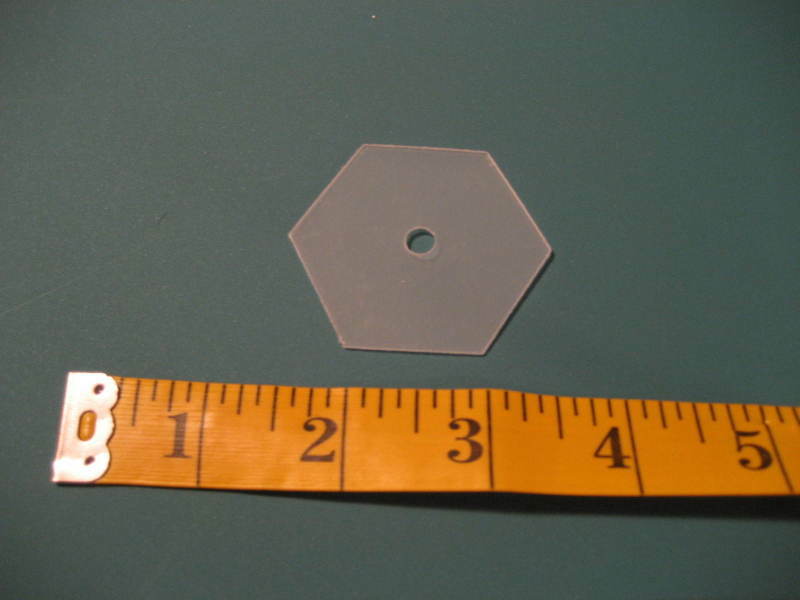 These Quilt Patis are a flexible plastic hexagon that comes in various sizes (mine are 1"). You baste a piece of scrap fabric around the plastic and then sew the edges together. When the edges are all sewn, then you pop out the plastic with a wooden skewer. Just keep reusing the patis until the quilt is the size you want.